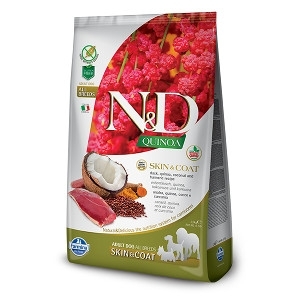 Farmina N&D Quinoa Skin & Coat Duck Dog Food 5.5 lb. Duck, quinoa, coconut and turmeric. Complete food for adult dogs.